The 50-year-old had already been on the south side of Everest in 2014 and on the north side in 2015. Both climbing seasons had ended prematurely, 2014 because of the avalanche disaster in the Khumbu Icefall killing 16 climbers, 2015 because of the devastating earthquake in Nepal. “We are very proud, it really was a four-year program,” said Holzer. 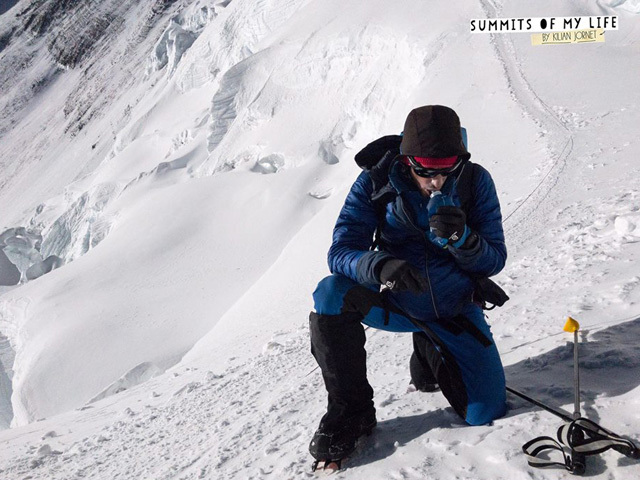 “Three times on Everest, it has cost a lot of money, many disappointments, and now we have finally reached the summit.” With his success on Everest, Andy has also completed his “Seven Summits” collection, that is, he has scaled the highest mountains of all continents. He is the first blind mountaineer to have reached the summit of Mount Everest from the Tibetan north side. The first blind man at all on the highest mountain on earth, the American Erik Weihenmayer, had ascended from the south in 2001. The 26-year-old Anja Blancha also belonged to the successful Furtenbach team. She will be listed now as the youngest German female climber on Everest. Anja replaces Claudia Bäumler, who had been successful in 2002 as a 33-year-old, told me Billi Bierling from the “Himalayan Database”. 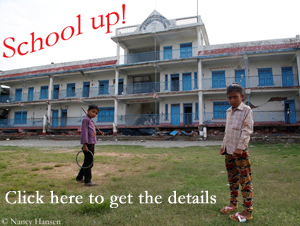 On Sunday, not only successes, but also fatalities were reported from Everest. An American and a Slovak, both 50 years old, died on the south side, a 54-year-old Australian on the north side. 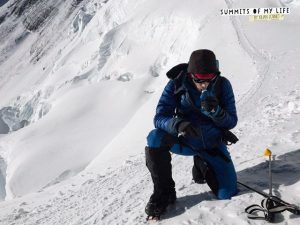 An Indian climber, who was missed on the Nepali side, was meanwhile found dead near the South Col.
Polish Media report, that on Sunday the Pole Janusz Adamski summited Mount Everest climbing alone, without bottled oxygen ascending from the North, descending to the South. His compatriot Rafal Fronia reportedly scaled Lhotse without supplemental oxygen. 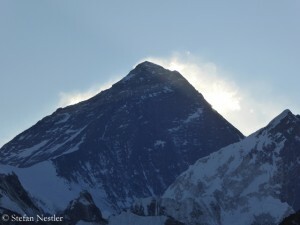 According to her own words, the Frenchwoman Elisabeth Revol reached the summit of the Lhotse already on Saturday. “I did the summit, I could only send a message 30m down after doing it, because too much wind at the top, I even lost my glove (He flew away) to send a message!,” Elisabeth wrote on Facebook. 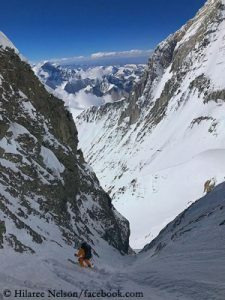 “Happy.” Less than two weeks ago, Revol had tried to scale Makalu, but had turned back at the 8,445-meter-high fore-summit because of too much wind. 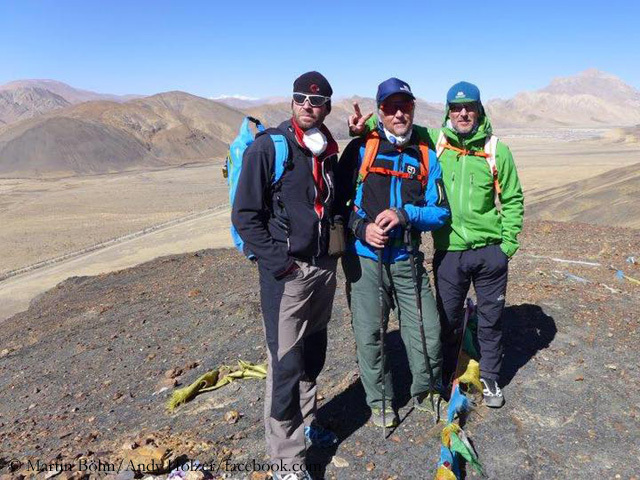 Update 24 May: The Pole Adamski has meanwhile admitted that Sherpas carried tents for him to Camp 1 and 2 and that he used bottled oxygen above Camp 3. 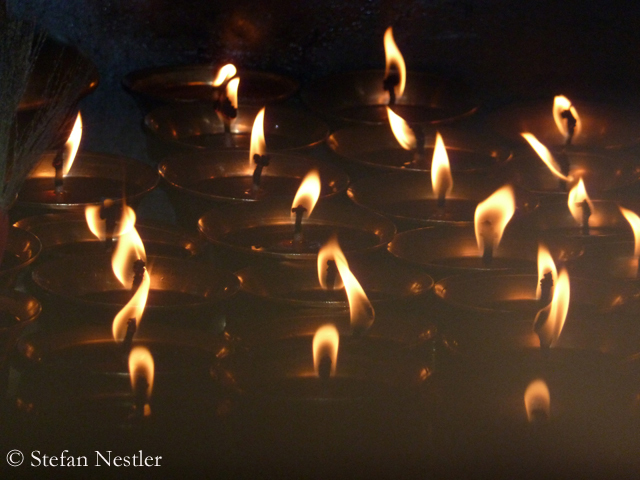 Obviously he had no permit for his traverse to the Nepalese south side. Update 9 June: I have removed the information that Andy Holzer completed his Seven Summits collection. 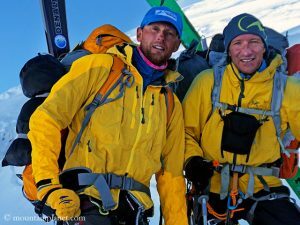 The Austrian confirmed reports that, in 2008, he had reached on Denali, the highest mountain of North America, not the main summit but only the Kahiltna Horn, the 70m lower foresummit. “The temperature was far below 40 degrees minus, and for me it was known at the time and now that this point was and is valid as a ‘bad weather peak’,” Holzer wrote to bergsteiger.com. Strange reasoning. 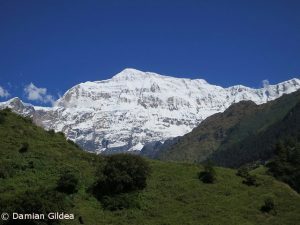 Sad news from the 7193-meter-high Gurja Himal in western Nepal: Nine members of a Korean expedition died there according to the Nepalese operator "Trekking Camp Nepal". A violent snow storm followed by a landslide completely devastated the base camp of the expedition at 3,500 meters.